A Conversation With 2017/ 2018 Artist in Residence, Shiyuan Xu! April is a bittersweet time around the Lawrence Arts Center. 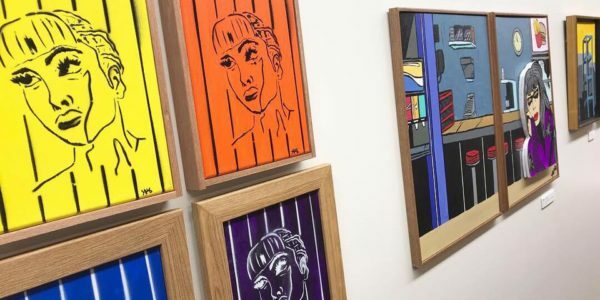 Looking forward to May and June, when our current Artists in Residence will present their exit solo shows, we both anticipate the phenomenal quality of their exhibitions and struggle to push aside our sadness at the thought of them leaving. Fortunately, between the time spent in their studios, teaching in our classrooms, and moments socializing in the community, our Artists in Residence truly feel like part of an ever-expanding family. We excitedly seek them out at conferences and look forward to hearing about their current accomplishments. 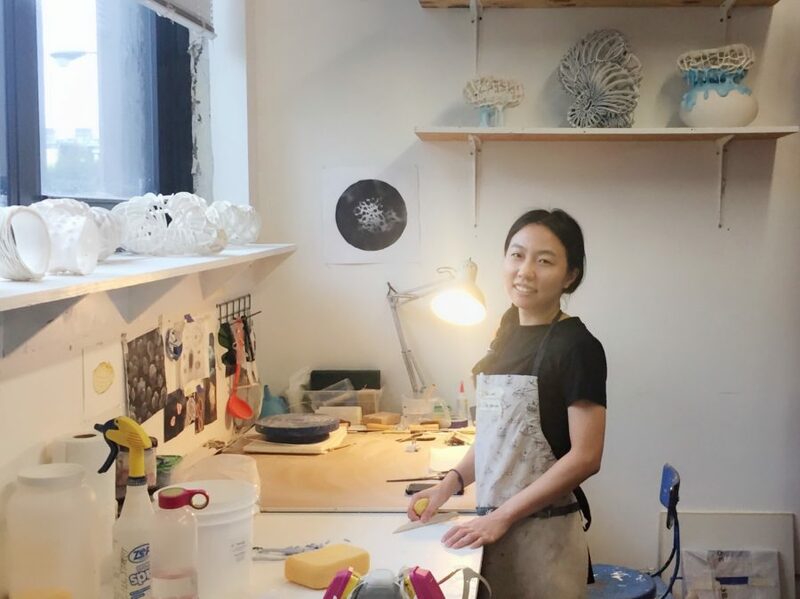 With applications for our 2019/2020 Printmaking and Ceramics Artists in Residence due on April 15th, we reached out to former Ceramic Artist in Resident, Shiyuan Xu, to share her experiences with her time spent at the Lawrence Arts Center. Shiyuan, Where are you now? Currently, I live and work in Chicago. 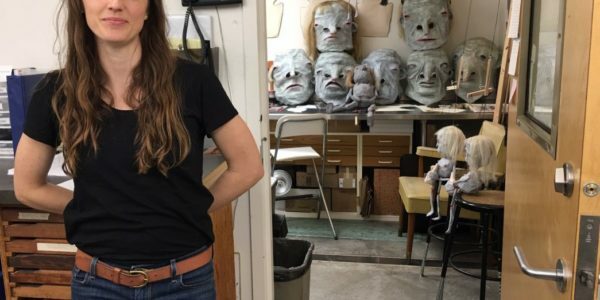 Do you feel the LAC Artist in Residence program assisted you, in either your artistic practice or with transitioning into your current activities? During my time at the Arts Center, I was able to concentrate on my own practice and experimented with new things. I have developed new bodies of work, which I presented during my solo show towards the end of my term, and I am still working with that series. Besides that, I took advantage of the free class offered for residents, so I had the opportunity to learn some printmaking techniques from my fellow resident. In addition, I had to do several artist talks for different groups of people during the whole year, and I think I am more comfortable talking to the public thanks to that. What was your most meaningful experience during your time at the LAC? I enjoyed the time either working in my own studio or teaching the classes and getting to know the community members. I feel like I am a part of the LAC family. The most wonderful experience was the solo show I had at the end. It was great that I had the full support of LAC, especially the professional exhibition team, to help me realize the show I want. Do you have any beneficial takeaways, advice, or things you would like to share with prospective Artist in Residence candidates? There’re a lot of great resources around Lawrence, for instance, Kansas City is only 45 minutes away. The museums and galleries are very active, I highly recommend the incoming residents to check out KC more often. See more of Shiyuan’s phenomenal work on her website! Interested in learning more about our Artist in Residency programs? Visit our residency page for details about our yearly long term residents, as well as opportunities for short term project based residencies. Please share our 2019/2020 application for Ceramic and Printmaking Artists in Residence, and as always, we look forward to seeing you in the studio!